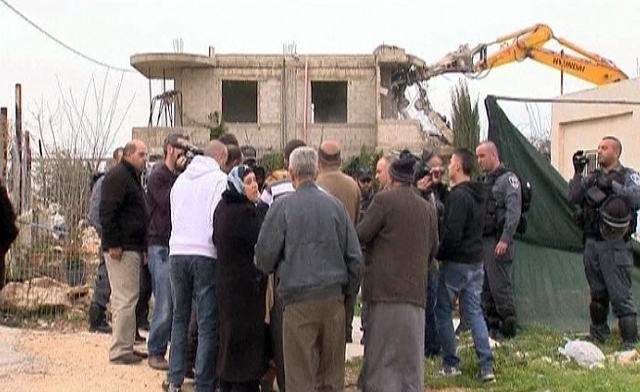 May Israelis live in Palestine? Israel has an active and official policy of settling Jews from all over the world (read this as people with NO genetic links to the Holy Land) in East Jerusalem and in the West Bank. 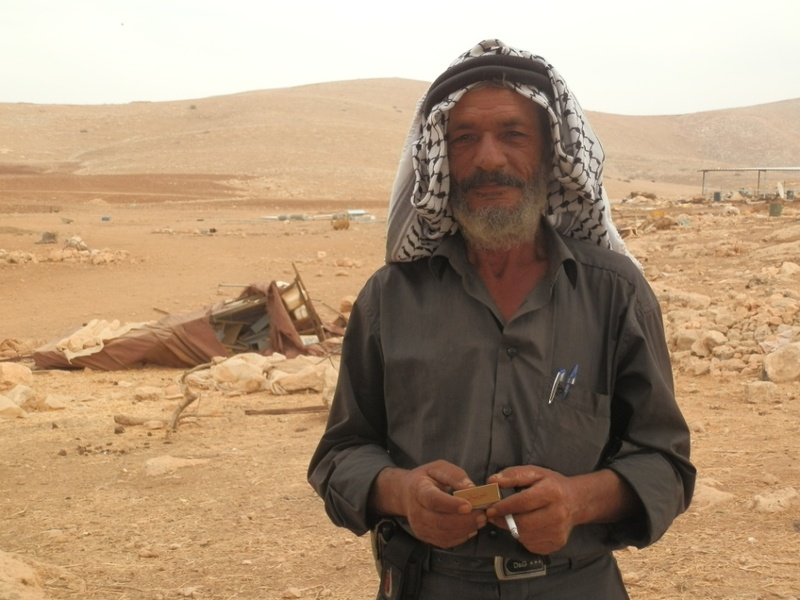 More than 650 000 Israeli settlers live illegally in the West Bank and in East Jerusalem. 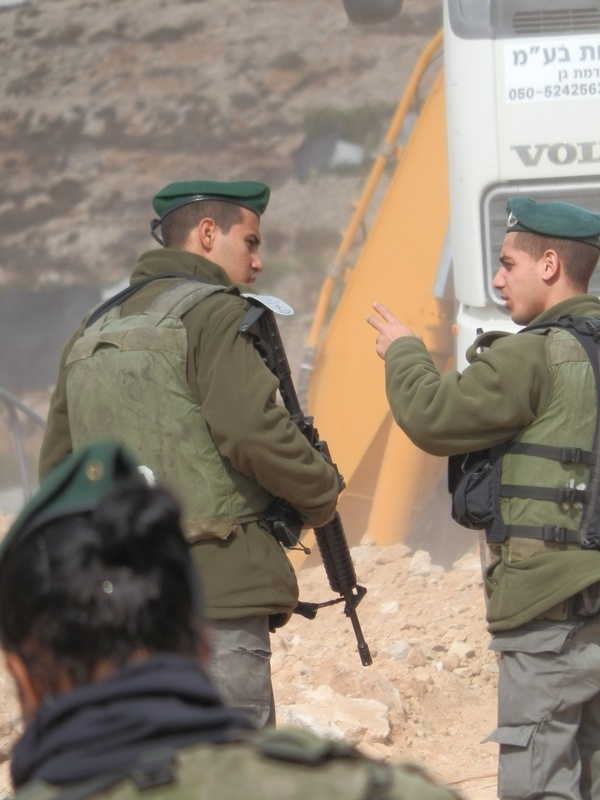 Yet this illegal occupation in Palestine continues with the world seemingly standing by. 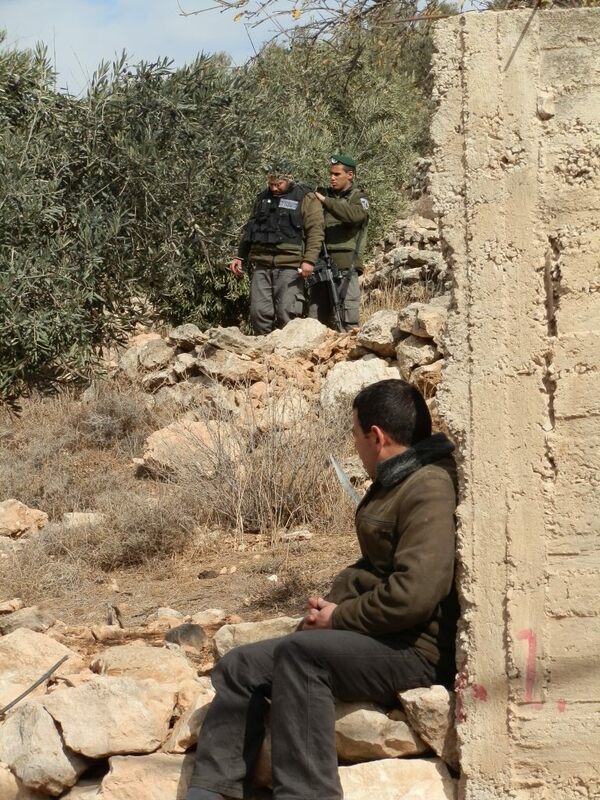 What is the role of these illegal Israeli settlers? 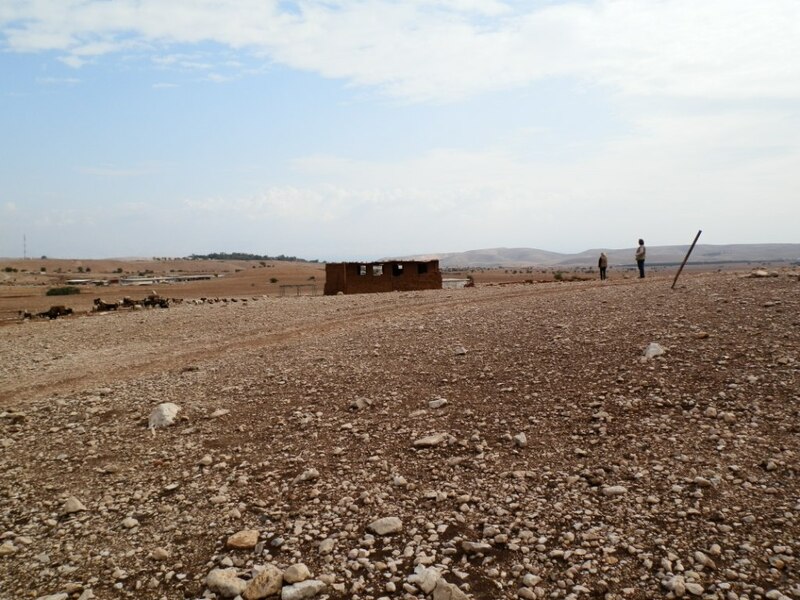 The inhabitants of Asira, one of the Palestinian villages south of Nablus in the West Bank, suffer regular and serious harassment from the outposts of the Israeli Yitzhar settlement. 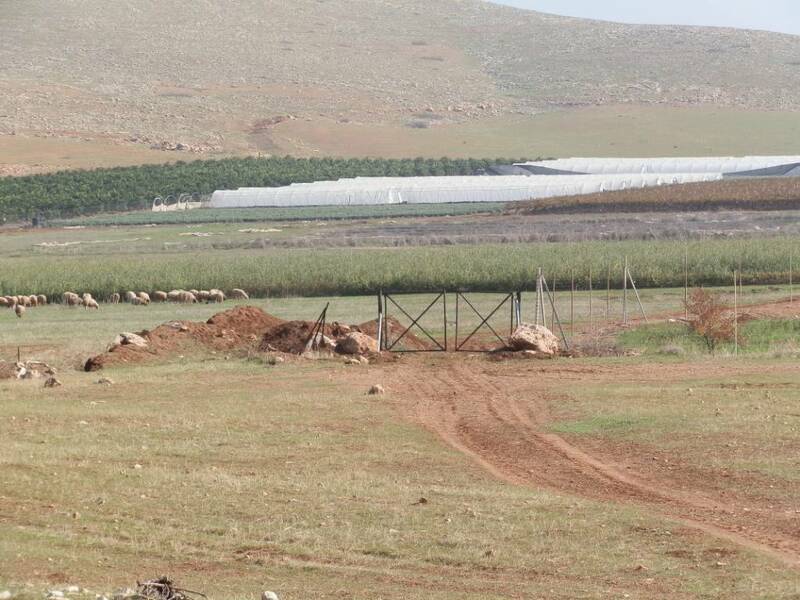 Since 2008, crops were burnt, Molotov cocktails were thrown, houses were demolished, cars were destroyed, and olive trees were cut down. 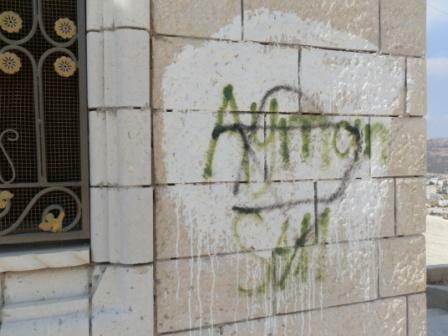 In 2011 settlers also started to throw paint bombs at the houses. 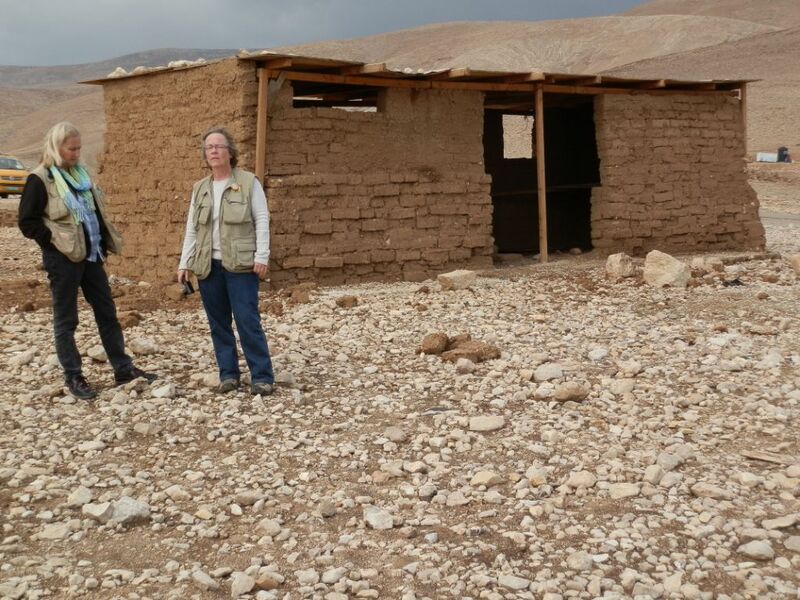 My team (EAPPI Team 41, Yanoun group) visited Nahla (37) and her children at their house in September 2011. 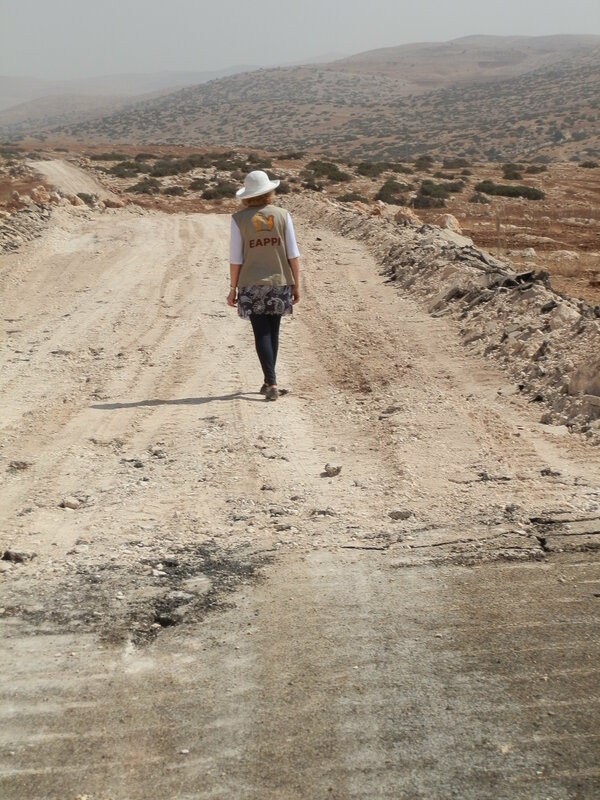 Nahla’s husband is a taxi driver, and in fact he once drove us from Ramallah to Za’tara when we left Jerusalem to go to our placements. He leaves home early in the morning and return late in the evenings. Their house is somewhat isolated from the rest of the town. There are beautiful red roses in the garden. Nahla talked to us with a weary smile. She gave us cool drinks, and later, some coffee. 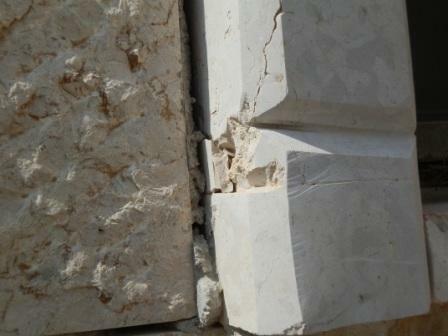 The family took a loan for a fence to safeguard their house. 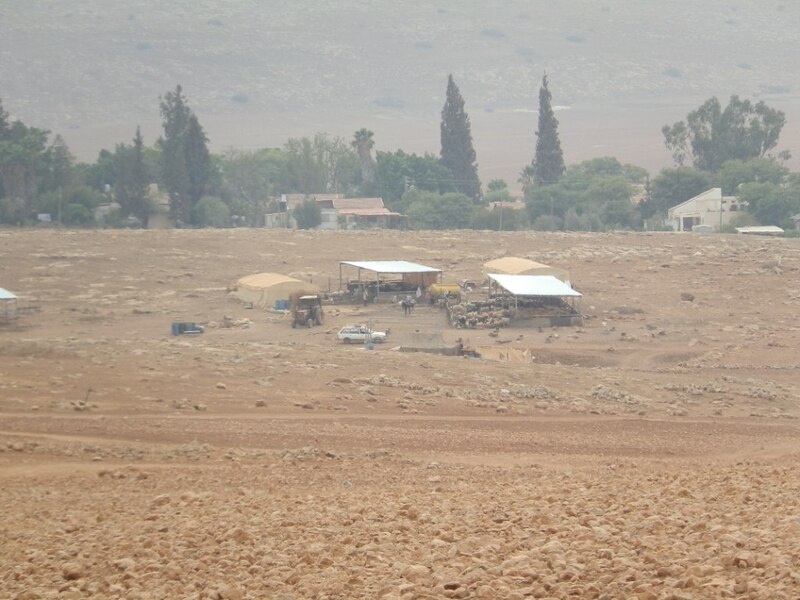 Now they need an additional 5000 NIS (about R10 000) to get a permit to build the fence around the house. 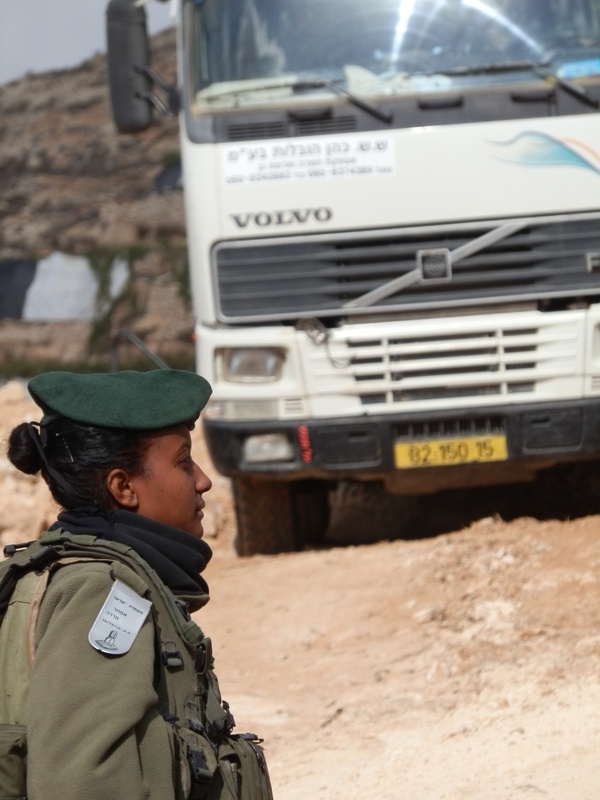 All Israeli settlements in the West Bank are in complete violation of international law. 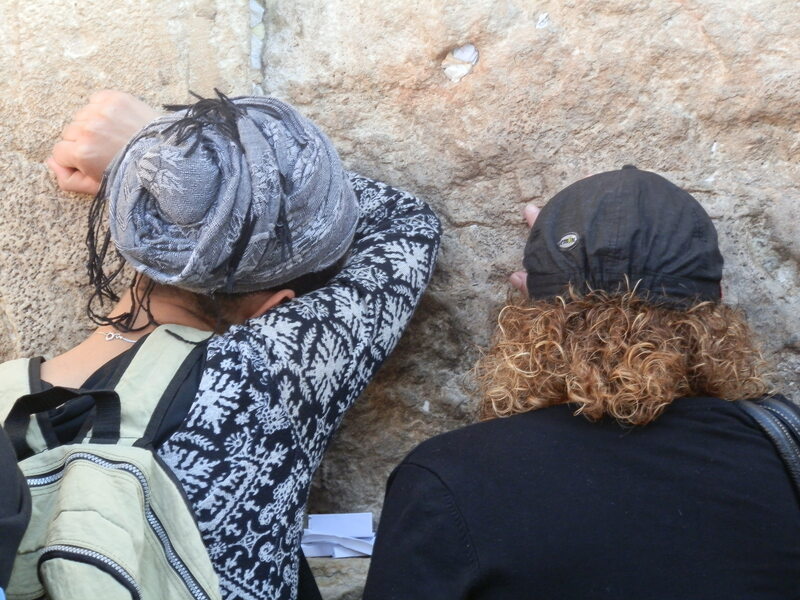 Christians across the world often confuse the Israel of the Bible with the current state of Israel. And so uninformed Christians uphold a theology of exclusivity and deny Palestinians the land given to them by the United Nations in 1948. Such Christians forget that Palestinians had absolutely nothing to do with the terrible Holocaust. They view Palestinians as faceless terrorists and turn a blind eye when Israel takes more and more of this land. 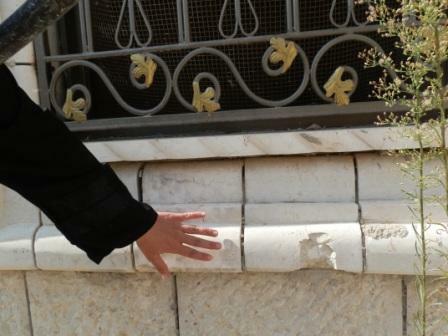 We forget that there are Christians too in Palestine. 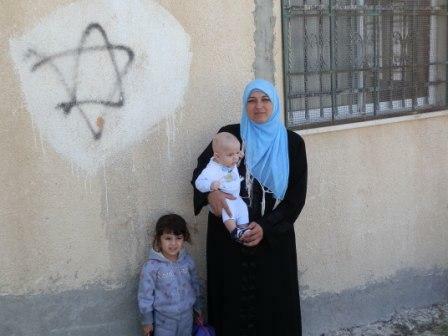 We think it is fine if the Palestinians have only 22% left of what was given to them in 1948. 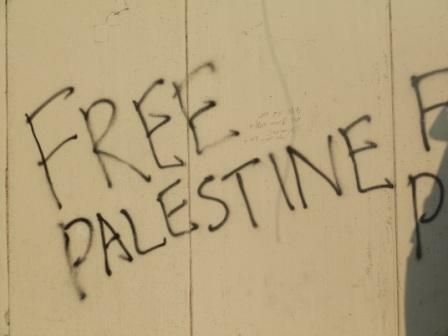 We agree that Israel may occupy, in multiple, institutionalised, degrading ways, a further 60% of the 22% in the West Bank. 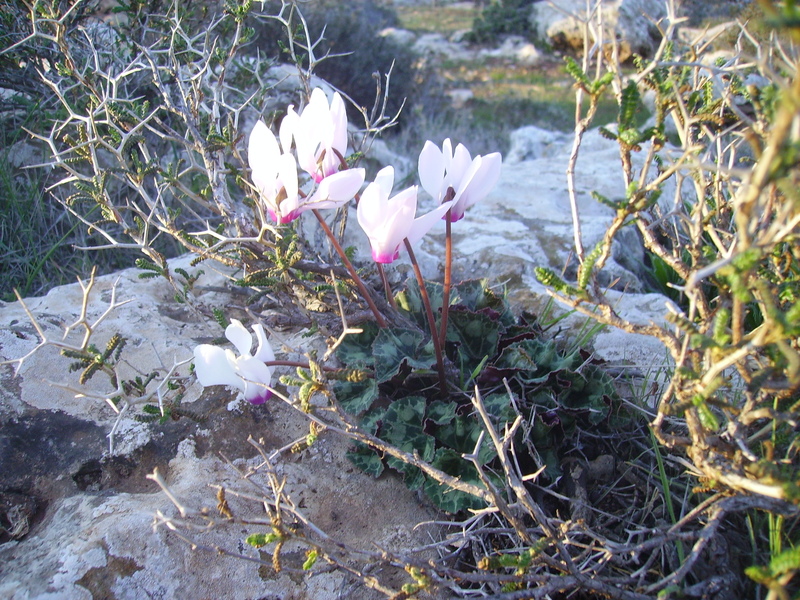 Ghaza too is like a open air prison since Israel controls the air space, the sea fare and access on land. We use the Bible to justify suppression. Through us, the unthinkable becomes normal. 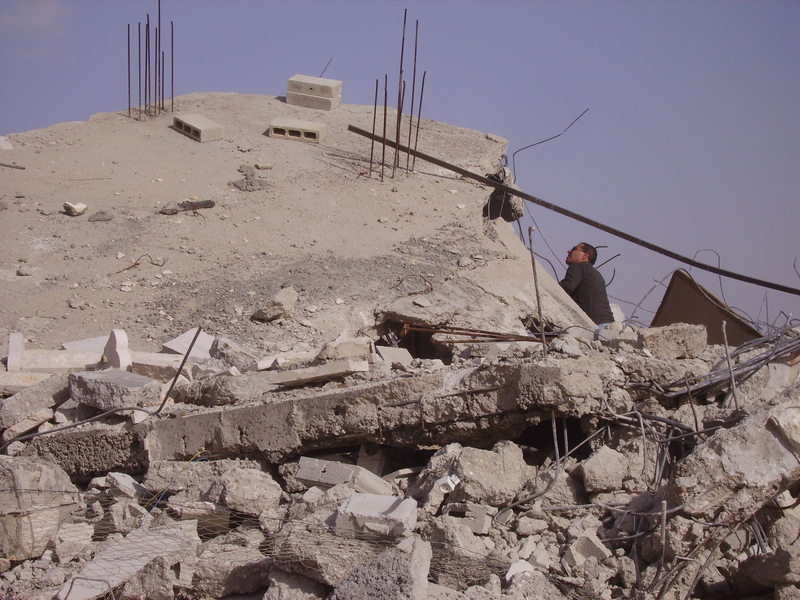 Because we cannot imagine Israel being guilty of crimes against humanity – it simply feels wrong. Weren’t they at the receiving side of crimes during the terrible Holocaust? The thing is, we cannot make judgements based on feelings only. We should also apply our minds and take facts into account. 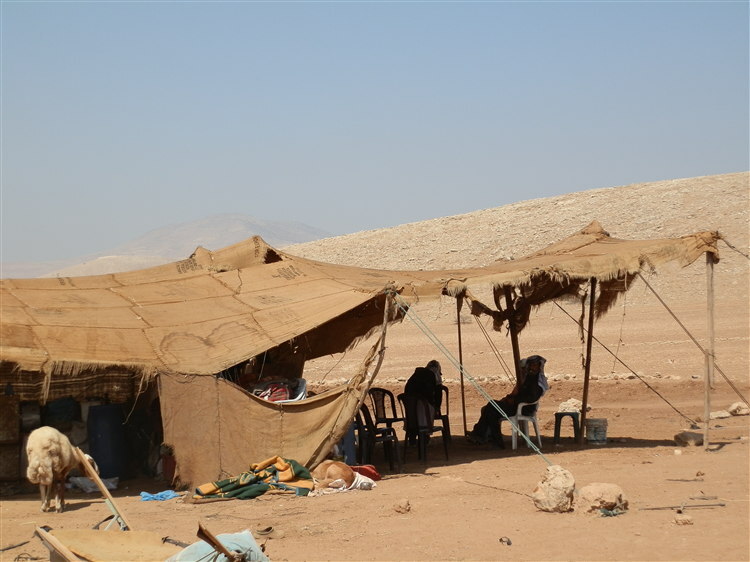 How can we simply ignore, for example, the alarming statistics on the United Nations Office for the Co-ordination of Humanitarian Affairs’ website? A 1993 agreement signed by PLO leader Yasser Arafat and Israeli Prime Minister Yitzhak Rabin set out a plan for Palestinian self-rule, which was never fully implemented. 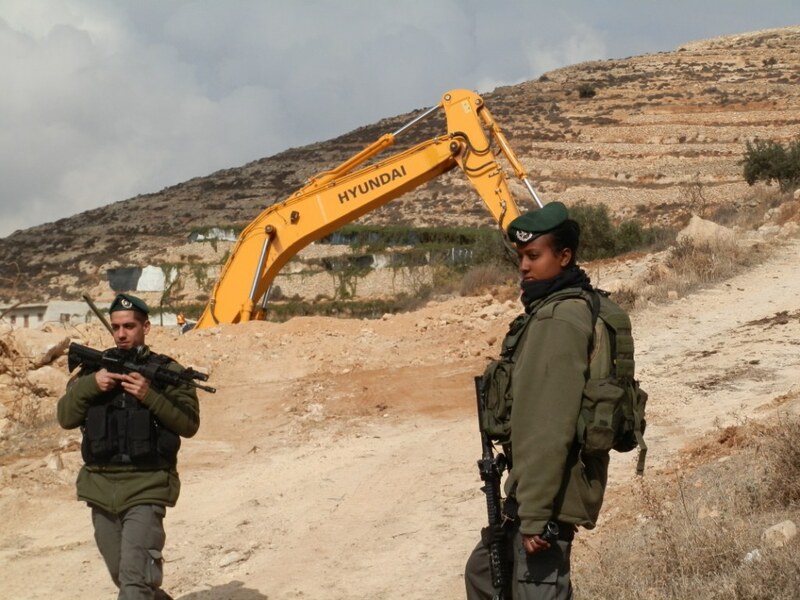 Israel has continued to expand settlements in the West Bank. 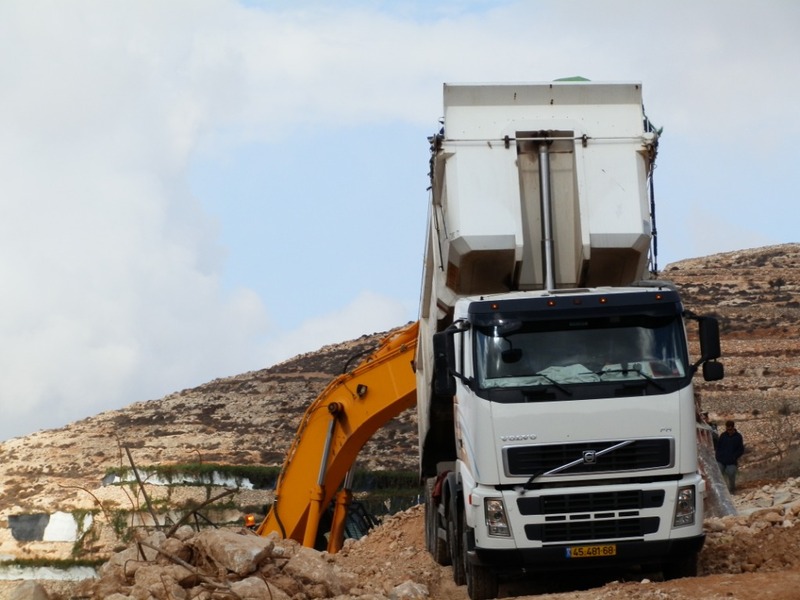 Building permits are refused, houses and roads are demolished and military checkpoints prevent citizens to go to churches, mosques, schools and hospitals. 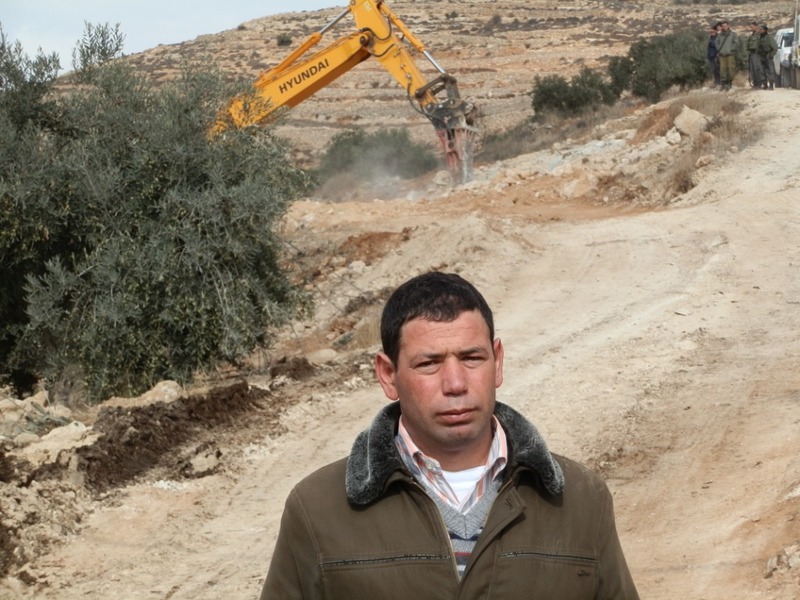 with approximately 100 outposts and they control more than 42 percent of the West Bank. 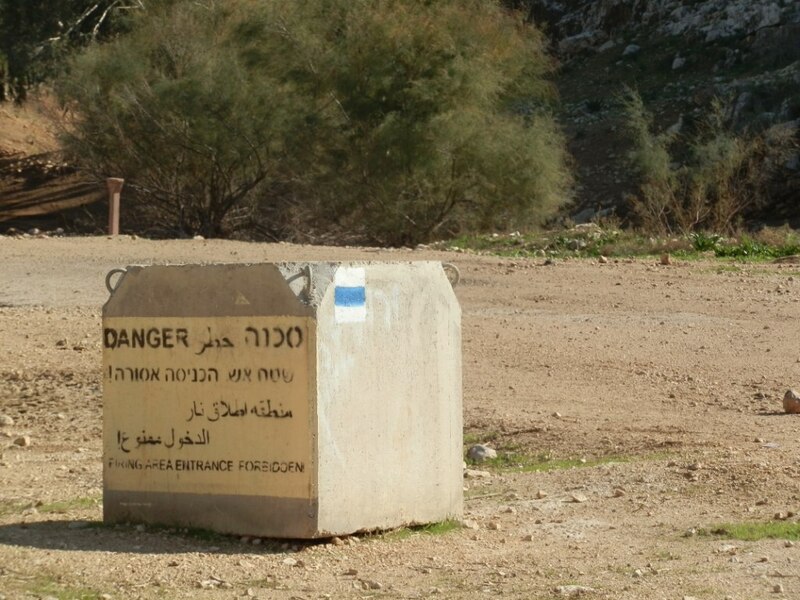 Many of the Israeli settlers come from different parts of the world (the USA, Canada, Australia, Europe, Russia, Marrocco, South Africa, etc.) and have absolutely no genetic affiliation with the land that dates back to the times of the Old Testament. They don’t have to understand Hebrew, they just have to be adherents of the Jewish faith tradition. Yet on posters with anti-Arab slogans on the main road between Hebron and Jerusalem hung by settlers on Sunday 26 September 2011, they claim “This is the land of our fathers and grandfathers” and “This is the land of Israel”. How can we allow this to happen? What kind of theology do we choose? Do we want to exclude, or embrace? 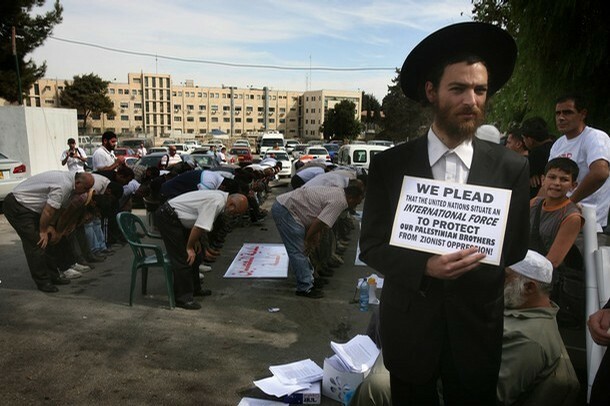 Why do so many Jews, some of them Israelis and others not, choose to stand up for a free and just Palestine? 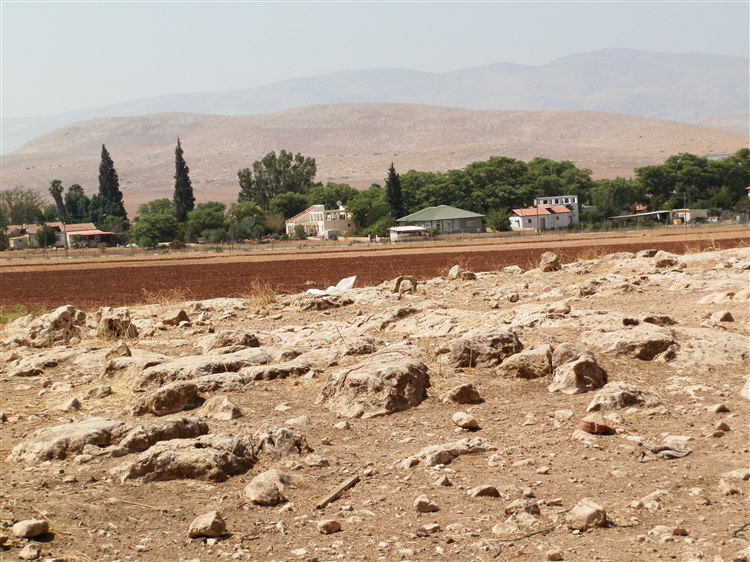 Is the Israel of the Bible the same place than the modern state of Israel? By which terms may any religious tradition suppress another people and deny them basic human rights? 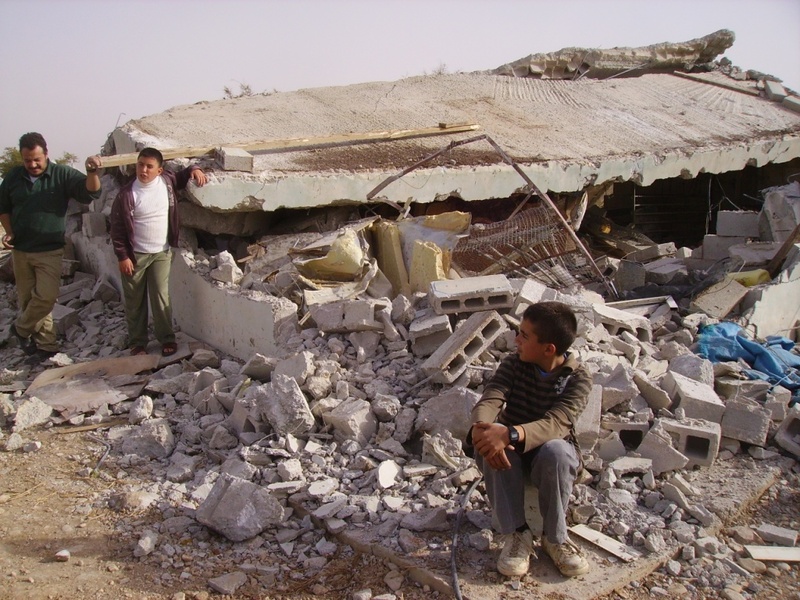 No, according to international law, Israeli civilians may not live in Palestine. Hence all settlements and all of the more than 500 000 Israeli civilians in Palestine are illegal. 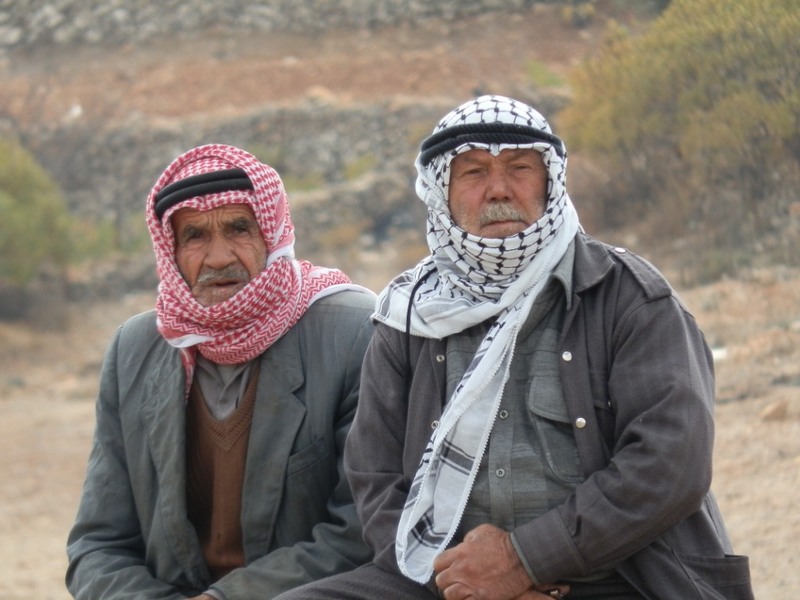 Yet many, many Palestinians I spoke with, reminded me that Jews, Muslims and Christians used to live as neighbours, like brothers and sisters, in peace together for more than a thousand years on the land that was known as Palestine before the state of Israel was declared. Therefore many of these people prefer a one-state solution where there is freedom, equality, dignity and peace for all. 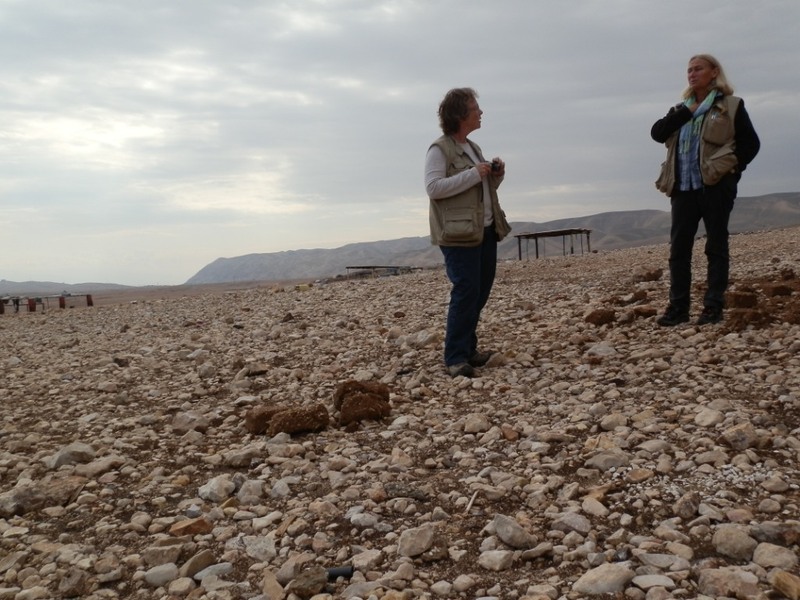 There is so much to say… If you want to know more, do read, for example, Mark Braverman’s excellent book on Christians, Jews and the search for peace in the Holy Land: Fatal Embrace (2010). 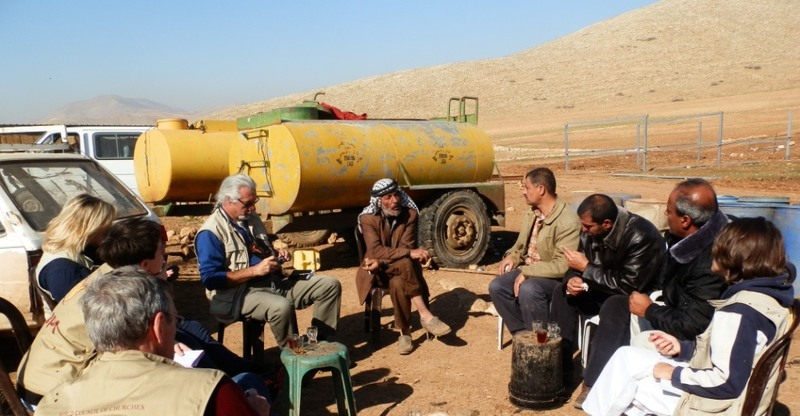 Mark is an American Jew and one of those who advocate for freedom and justice in Palestine. His book explains his own journey of insight and contains personal and theological reflections. http://ironicsurrealism.com/2011/09/23/palestinian-president-mahmoud-abbas-address-u-n-general-assembly-sept-23-2011-full-transcript-video/ [online] Accessed on 26 September 2011. 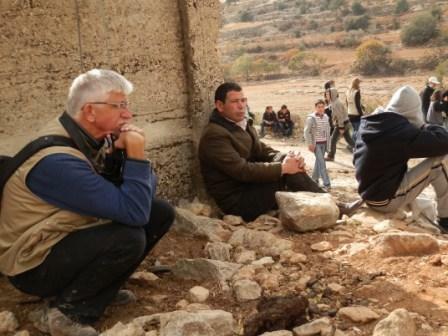 On Thursday 9 February 2012 tears welled up in my eyes as I sat in my living room. I was so angry, and so upset. 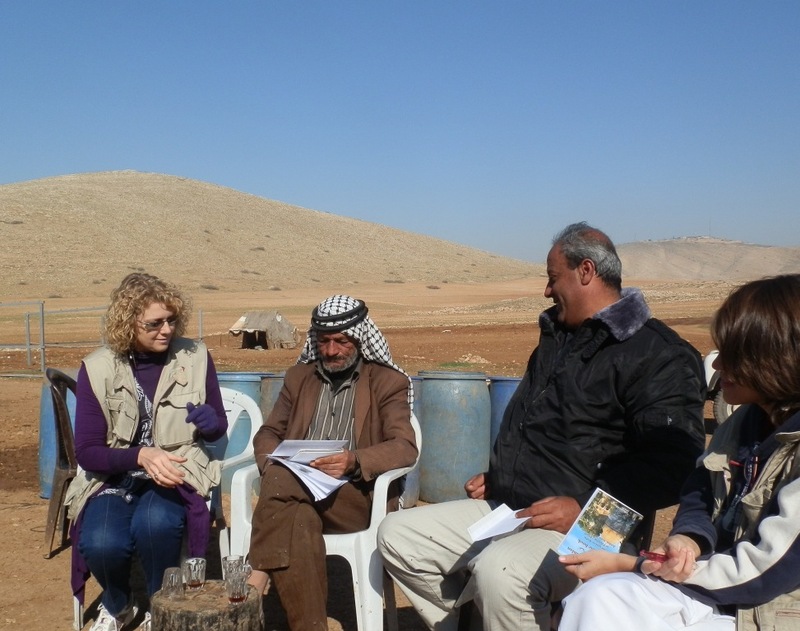 How does it happen that almost an entire well managed, clean village with residents who live in peace in the northern part of the Jordan Valley, Palestine, are under threat of being demolished? 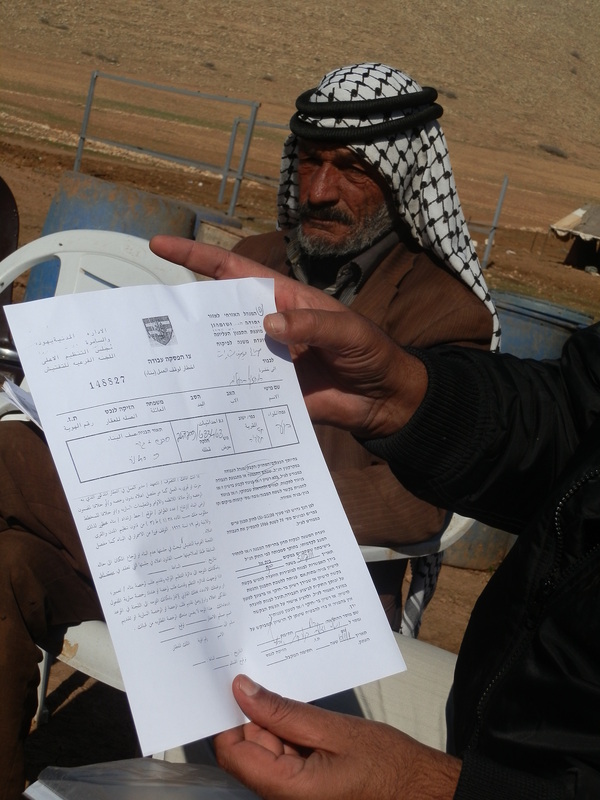 What I learned that afternoon on 9 February in my living room, was that 97% of this village now has demolition orders. 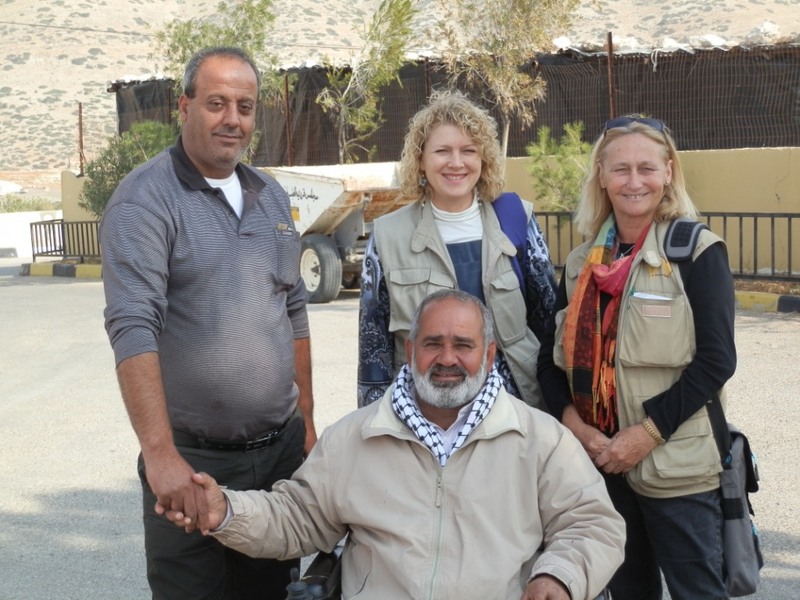 In recent years, the Rebuilding Alliance (www.rebuildingalliance.org), an American human rights organization sparked international interest in the Jordan Valley village of Al ‘Aqaba by discussing its problems with Members of the US Congress and organizing an awareness-building tour for the village’s mayor, Haj Samy Sadeeq (Tel. +972.9.257.2201) in the US. 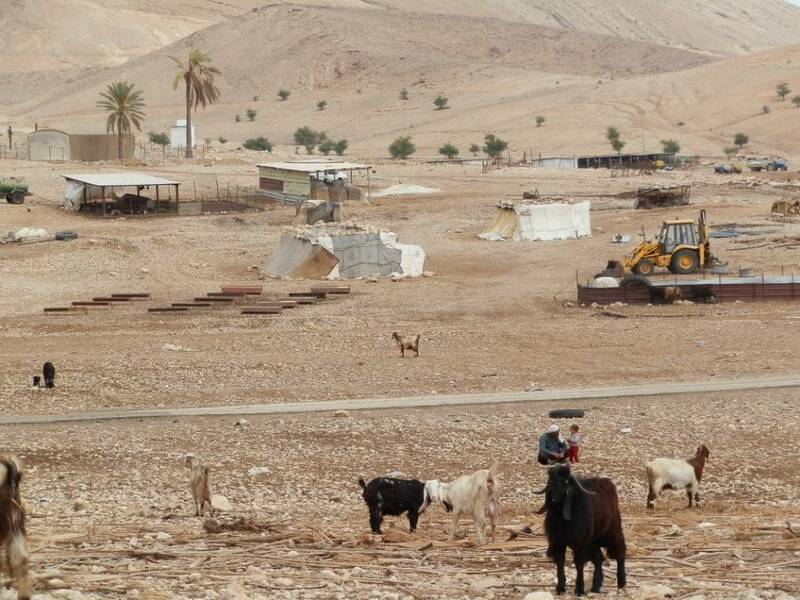 As a result, in January 2012, the Head of the Israeli Civil Administration, Brigadier General Motti Almaz visited the village, to “look into complaints” filed by ‘Aqaba’s residents pertaining to mass demolition orders that would effectively destroy the entire village if executed. 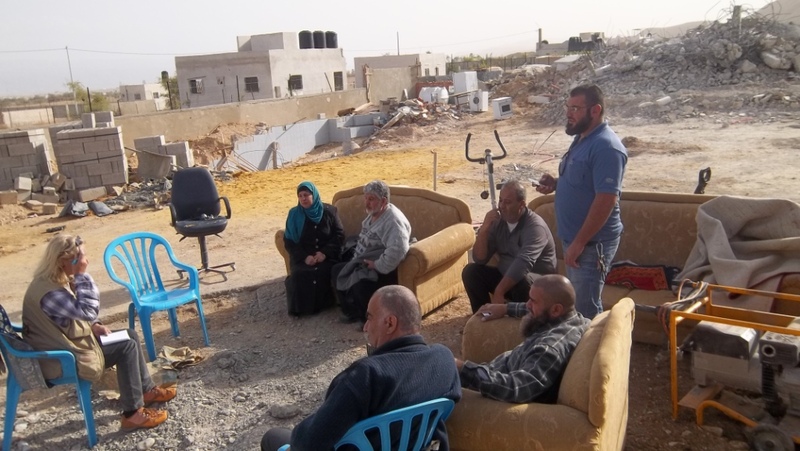 Sadeeq asked Almaz to approve a zoning plan for Al ‘Aqaba so villagers can build legally, and for reassurances that the military will not demolish ‘Peace Road’ (the main entrance into Al ‘Aqaba) again if the village rebuilds it with their own money and labor. 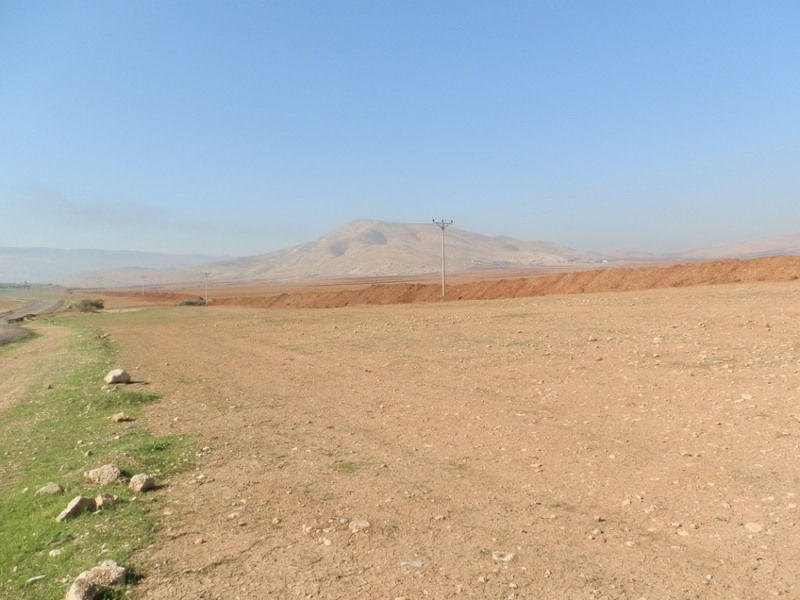 Al ‘Aqaba to be connected to the water network, and re-connected to the electric grid. Almaz responded to all of Sadeeq’s concerns by saying, “We will look into it”. 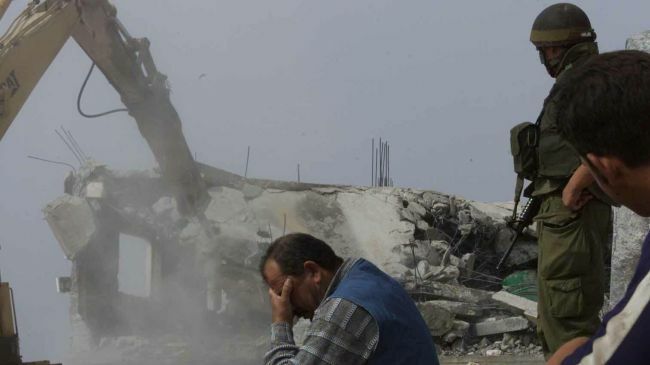 At this stage 95% of the village had received demolition orders from Israel. 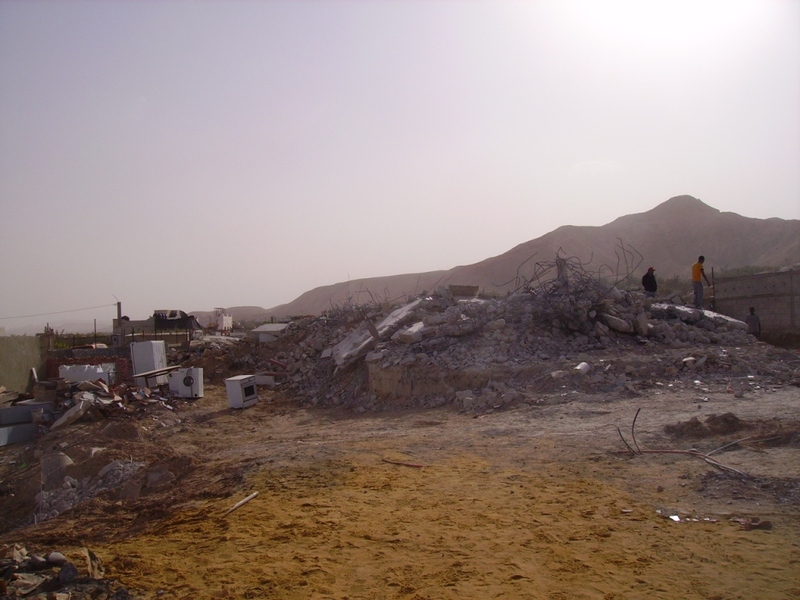 A few days later, on 24 January 2012, a representative of the Israeli Civil Administration (which is actually a military organization, despite its name) distributed 17 more demolition orders for homes, animal shelters, and even the communal oven. 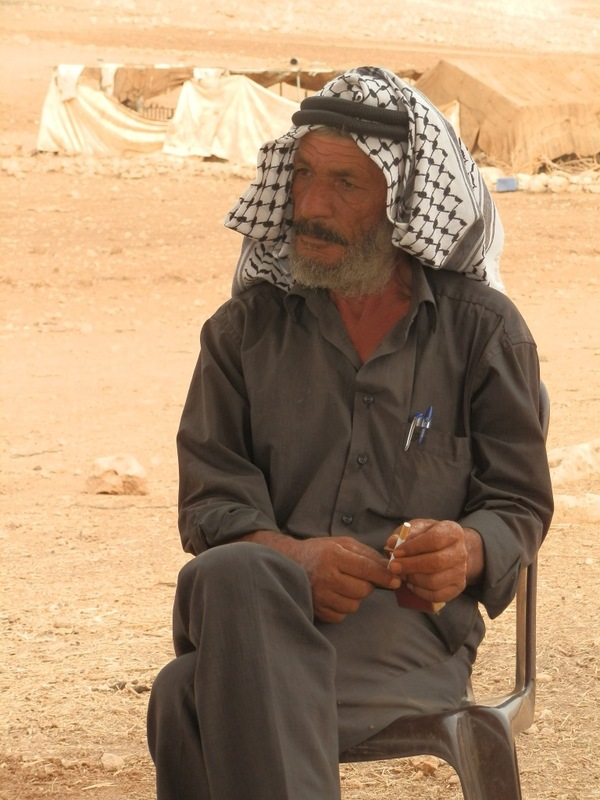 The representative told Sadeeq, “This whole village is illegal; everything must be destroyed”. 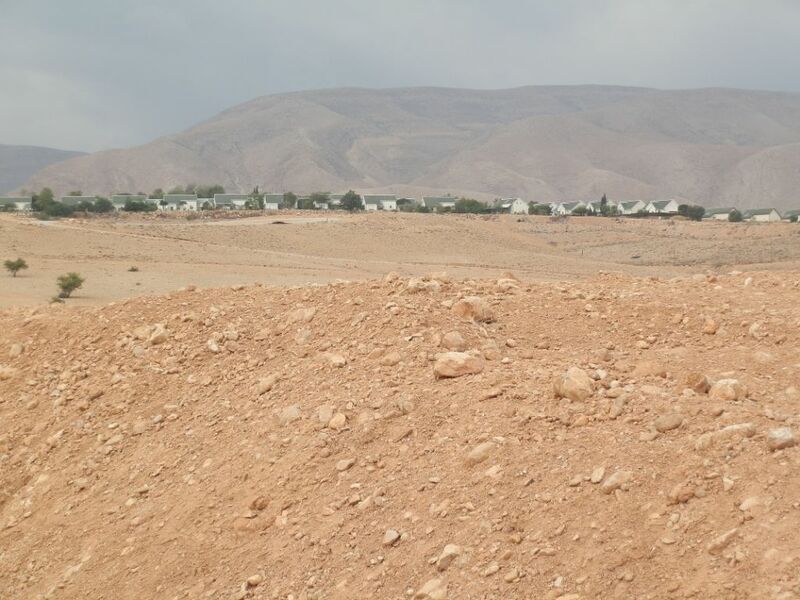 A few days later, the same person returned to Al ‘Aqaba and issued another eight demolition orders, which included orders to demolish Al ‘Aqaba’s kindergarten and medical clinic. 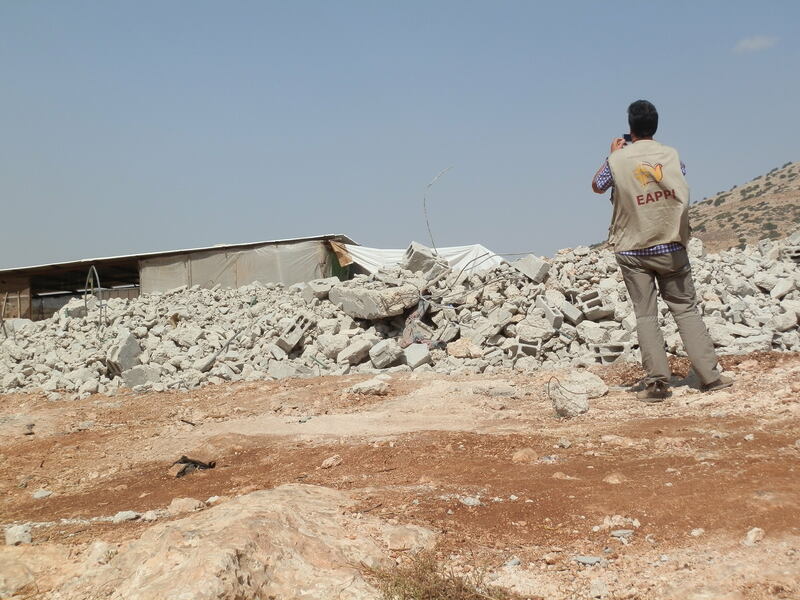 In total, 25 of 45 structures in the village received demolition orders in January 2012. 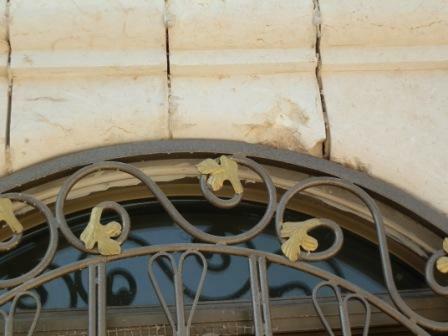 See the EAPPI online album of photographs of structures in Al ‘Aqaba that have pending demolition orders. of the Fourth Geneva Convention of 1949). I decided to do something and so we at Kairos Southern Africa wrote a letter to the South African government (Kairos SA letter to SA Govt re Al ‘Aqaba). 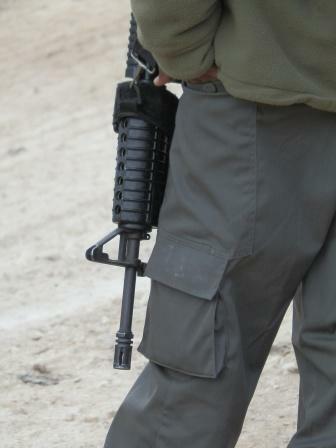 We asked them to stop Israel. 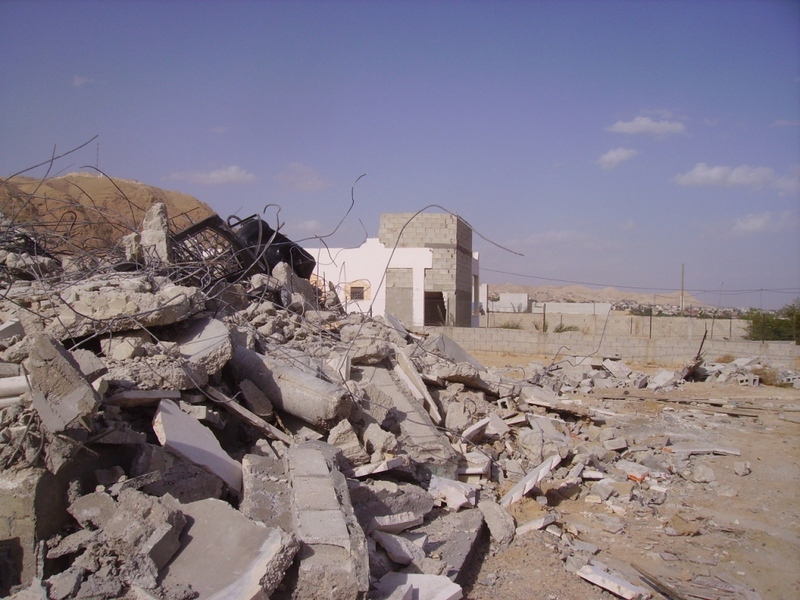 We now appeal to all Kairos movements in the world to join us in asking your governments to stop the demolition of Al‘ Aqaba. 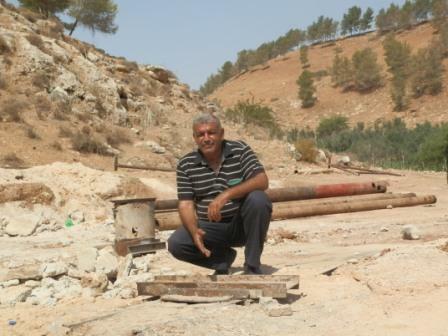 All the villagers in Area C of the West Bank has the right to adequate housing and infrastructure without the threat of demolitions. 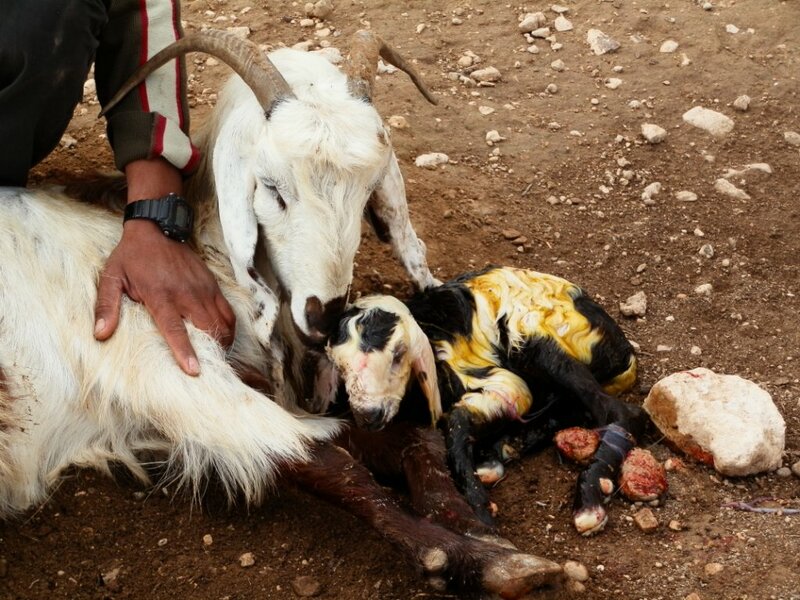 The village of Al‘Aqaba lies east of Tubas, in the northern part of the Jordan Valley. 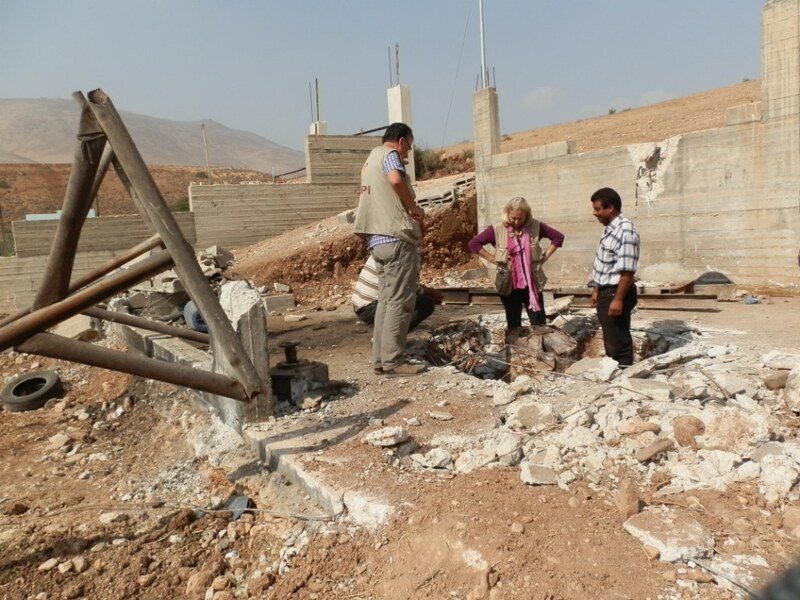 For many years, the 300 inhabitants of this village have faced severe repression by the Israeli Military Government, and repeated destruction of homes and infrastructure. 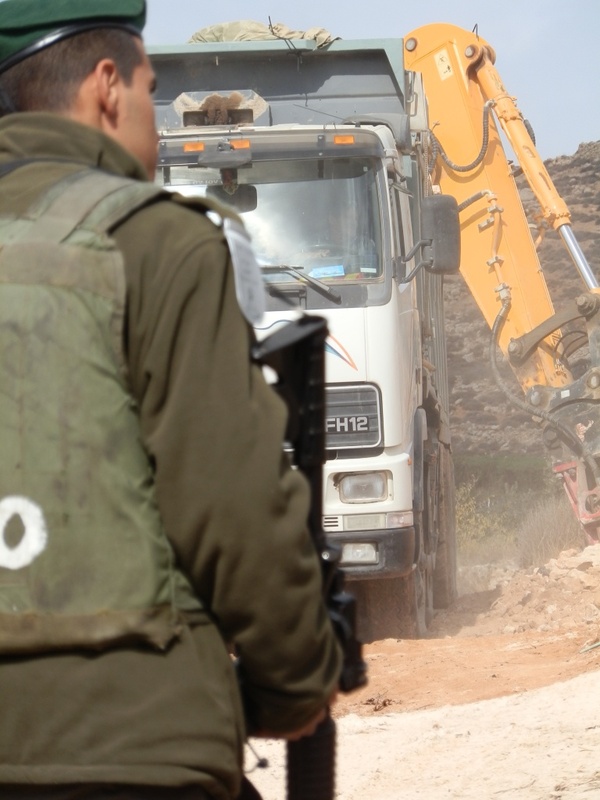 Despite recent promises to the village by IDF Brigadier General Motti Almaz, harassment continues on a weekly basis and the threat of mass destruction of homes hovers over the village. (Please see the attached information sheet). 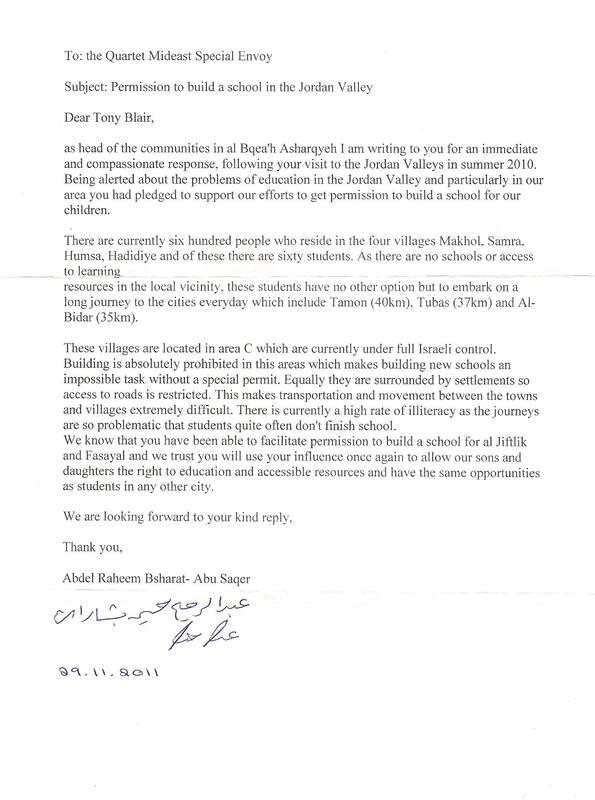 The residents of Al‘Aqaba have the right to live peacefully in their homes. 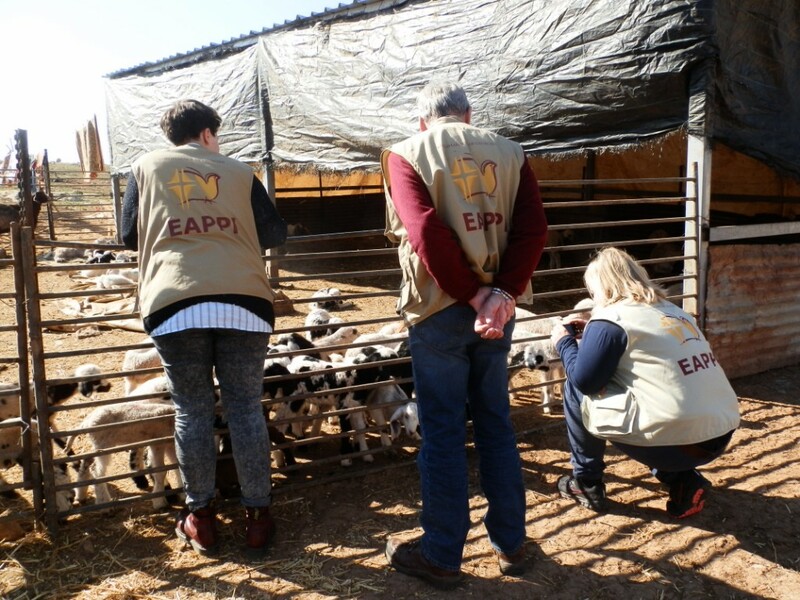 Members of Kairos Southern Africa who worked in Palestine as human rights monitors witnessed the devastation on the lives of civilians when their houses, schools, clinics, mosques, water cisterns, animal shelters and roads are being demolished by Israel. 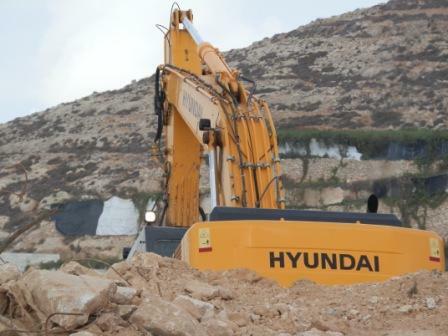 According to the United Office for the Coordination of Humanitarian Affairs in the occupied Palestinian territories (UNOCHA) demolitions and forced displacements in the West Bank are on the increase. 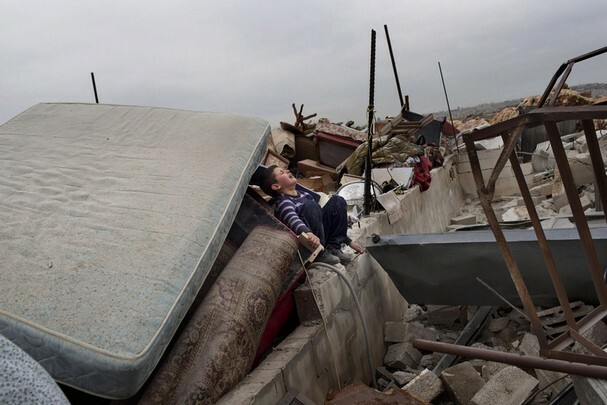 During 2011, almost 1100 Palestinians, over half of them children, were displaced due to home demolitions. This represents an increase of over 80% in comparison with 2010. 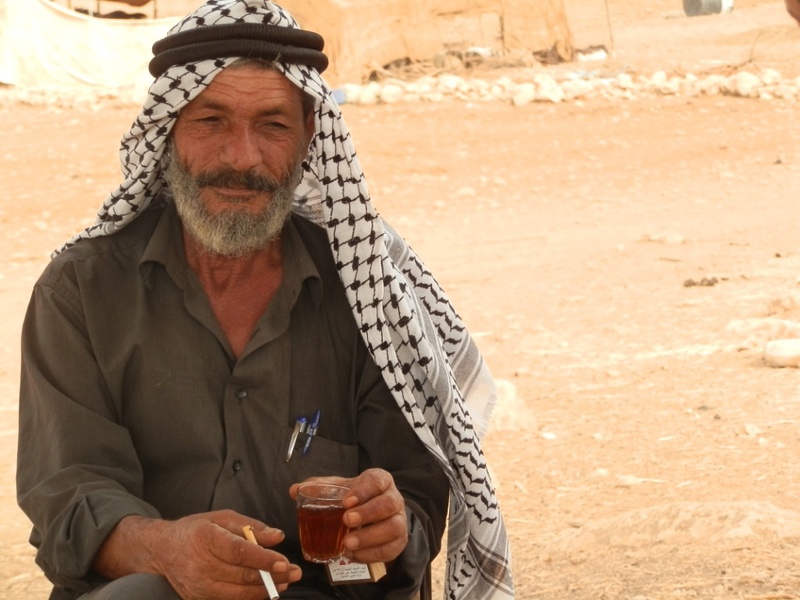 During last year, 4 200 Palestinians were affected by the destruction of their livelihoods. 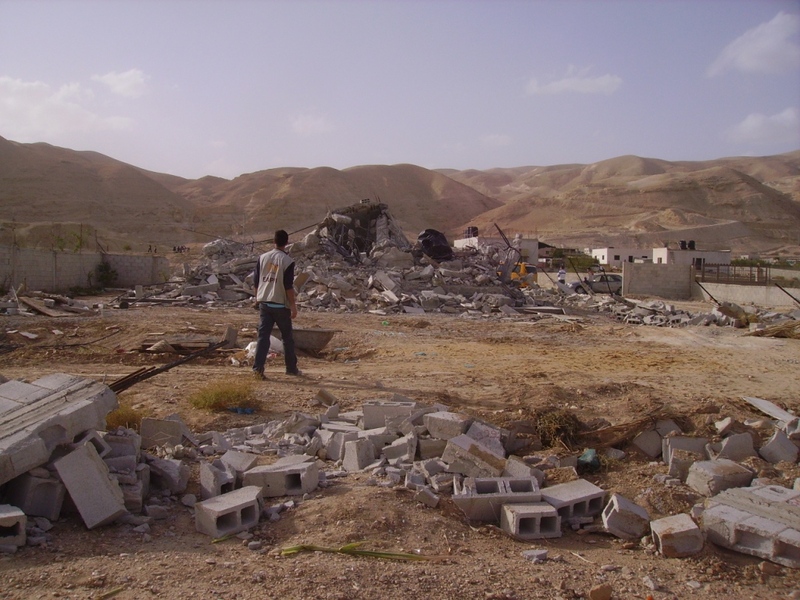 On 27 January 2012, Mr Maxwell Gaylard, United Nations Humanitarian Coordinator for occupied Palestinian territory called for an immediate end to home demolitions in the West Bank by the Government of Israel. 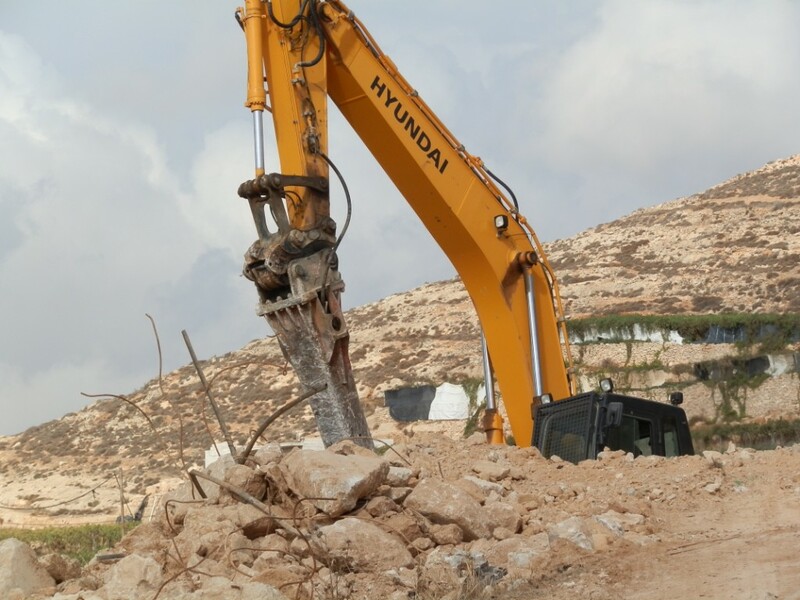 Our call for justice on behalf of the residents of Al ‘Aqaba is an urgent appeal for adequate housing and infrastructure without the threat of demolitions in all the villages in Area C of the West Bank. Kairos Southern Africa (including Rev. Moss Nthla, Rev. Edwin Arrison, Ms. Dudu Masango, Dr. Stiaan van der Merwe, Dr. Frank Chikane, Terry Crawford-Browne, Laurie Gaum, Dr. Clint le Bruyns, Deon Scharneck, Ms Christel Erasmus and Ms Marthie Momberg); Boycott, Divestment and Sanctions in South Africa (BDS South Africa); the Media Review Network; the Palestine Solidarity Campaign in South Africa; the South African Transport and Allied Workers Union (SATAWU); Dr Carol Martin, Ecumenical Accompanier in Palestine and Israel (EAPPI Team 40) and Shereen Usdin. 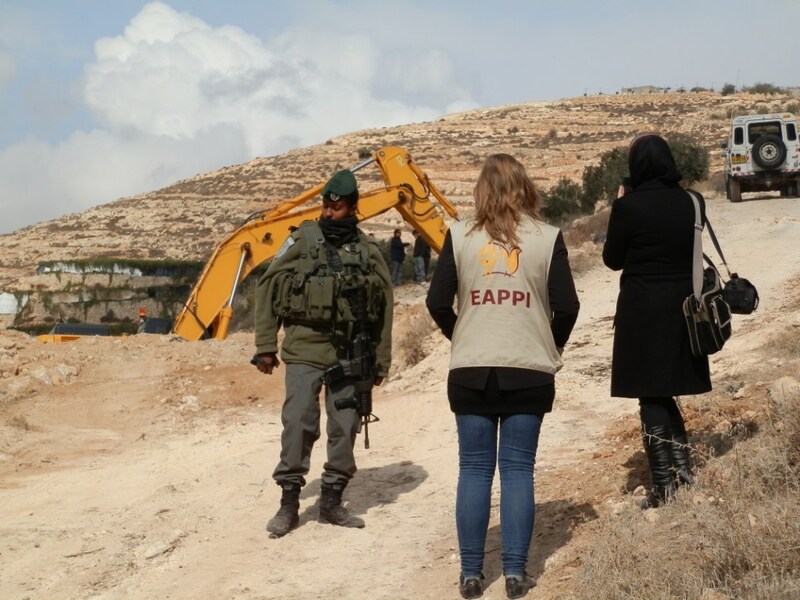 Contact (Preferably write or fax) the following officials and call on them to allow Palestinians in Area C to have their right to adequate housing and infrastructure without the threat of demolitions. 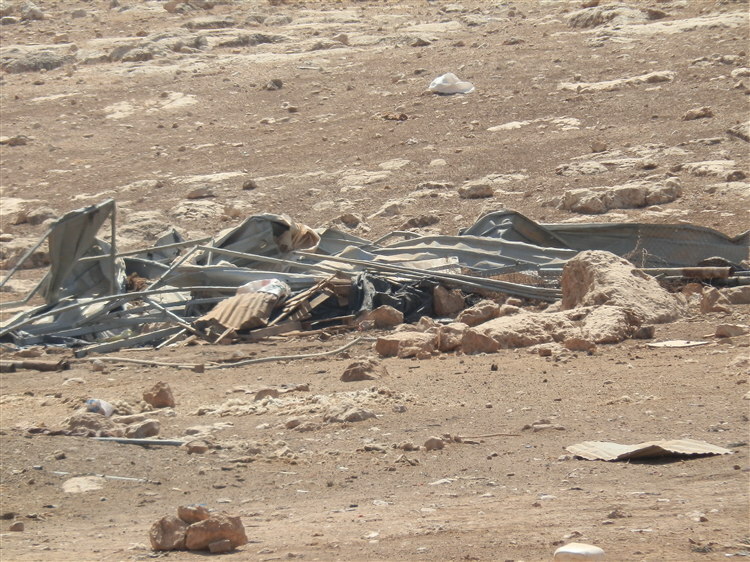 Al ‘Aqaba 2011: The IDF’s destroyed the tar on this road.